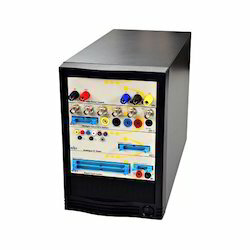 Banking on the skills of our professionals, we manufacture, supply and distribute a wide range of System 8 Boardmaster. The System 8 Boardmaster we offer is safe to use. Avail from us a wide range of Board Master External Case Circuit Tester, as we are engaged in offering these products as per the needs of our clients. This Board Master External Case Circuit Tester has sturdy construction and is highly durable. This could be used easily and is rated highly by the experts of the industry for their effective performance.